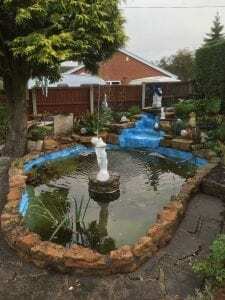 If you’ve ever thought about bringing some more life into your garden or creating a focal point for your guests to talk about, Merlin’s specialised Fibreglass Ponds are the right option for you. It can often be hard to find a preformed pond to match your needs, and using a pond liner sheet can sometimes result in complications, which is why fibreglass pond liners are becoming increasingly popular. 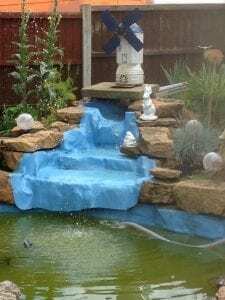 Why purchase a Fibreglass Pond? 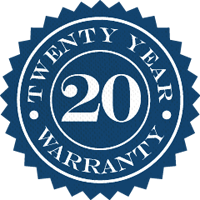 Our service allows you to create the perfect pond for your garden, as we can manufacture the pond to your exact specifications and size. The strong and durable fibreglass material ensures you will have no complications with leaks or tears and we guarantee to help if you do in fact have any problems you would like to contact us about. Another option that people see is the preformed polyethylene based pond, which can be bought pre-made in fixed shapes. However, if you’re looking to meet certain requirements in your garden and only one size will fit, it can be very difficult to find a pre-made pond that will match. At Merlin Fibreglass Flat Roofing, we can create GRP Fibreglass ponds to meet the requirements of both domestic and commercial needs. Glass Fibre is the most appropriate material for the job, offering many qualities that suit the purpose of lining a pond. It is resistant to weather and temperature damage, as well as providing a water tight surface that is easy to clean. It’s often we receive uncommon jobs and we enjoy the opportunity to create something out of the ordinary, so if it’s something you’re not sure about, give us a call and we’ll do our best to help. The types of fibreglass applications can be limitless and we’ll gladly survey the area – for free – as well as offering our advice and provide the best solution for you.